Francesco Petrarca, known as Petrarch, was an Italian poet in the fourteenth century. Now known for his Petrarchan sonnets, his life was rattled when he became infatuated with a woman named Laura. Married to another man, Laura barely knew Petrarch existed; but Petrarch was determined to immortalize Laura’s beauty and modesty in his poetry. His poems of Laura still exist today, proving that he indeed immortalized this woman whom modern society knows very little about. Your article is Laura and the internet, accompanied with your plaque, is your Petrarch. The internet has a way of immortalizing today’s words, and your online article can last forever because of it. It is possible that many years from now, there may even be “virtual archaeologists,” that will dig up our modern society in the form of the data in our computers. But that’s another story. Any online article can become a plaque. Your very first article? Your first headline? Or maybe the article features the rising success of your business. 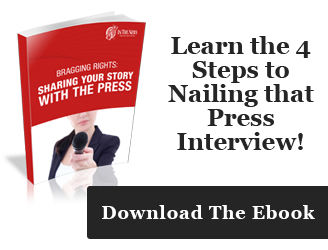 When an article is published online, it can be turned into a physical plaque. 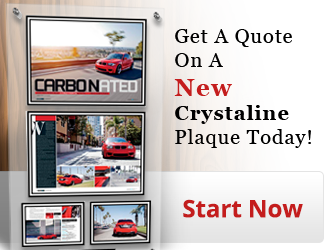 A plaque is a great reminder of your success, and you can immortalize your digital success this way. When your published newspaper feature or magazine article is portrayed on a plaque, it becomes immortalized like classic literature. But what exactly gets immortalized? That’s where your personalization comes into play, you choose exactly how you want your plaque to look. But what information should be included in the plaque? Aside from the article itself, the basic information is recommended. The basic information is important to save for the future. The title of the publication, the title of the article, the date, and the writer are all examples of the recommended information. And, of course, your name or the name of the recipient of the award or accomplishment is a given. The internet turns data into godlike figures of immortality. If a newspaper or magazine publishes a feature, it is bound to be found in some library or website. Tell us the name of the article and we can find it for you if you do not have it around. We are prepared to trek up the divine mountains to find the written samples of virtual immortality. From there, we use exactly the information you want to use in the final product. Our plaques, handmade with care and precision to your specifications, ensure the immortalization of your article. But how is a plaque different from the internet in regards to immortalization? In a world where both the printed and digital word is crucial in information preservation, how do they differ? And as for the most important question: do they work together? The answer to that last question is a passionate yes. The online version of the article can be linked to various websites and social media outlets, reaching all kinds of demographics. 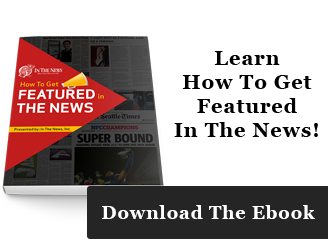 The physical version of the newspaper or magazine article reaches to those who buy or subscribe to the specific literature, but the plaque itself can reach anyone who walks into your company. If your successful restaurant hangs up a plaque with its local news feature, your customers who may not have access to the internet suddenly have access to your article. The plaque is finished with a gloss that seals and protects your article, ensuring that if lasts lifetimes. Crafted to be passed down for generations, your family or even your family-owned business can hold on to the original accomplishment for many years to come. The plaque then succeeds in immortalizing your present accomplishment for future news and motivation. Everything about our plaques you choose yourself. Upon receiving your finished plaque, examine it to ensure that it is to your specifications. If it is in any way not to your liking, send it back and we can have it perfect within two weeks. We strive for accomplished service. Our plaques are made with a wooden base. The choices of wood are ebony, mahogany, walnut, whitewash, and natural. Each of these beautiful colors can be partnered with a trim in practically any color: black, gold, silver, even to all the shades of the rainbow! You choose the layout, and we even have samples of layouts designed to efficiently portray your accomplishment. Details about the accomplishment are marked with a custom engraving that comes in a variety of options. These handcrafted plaques are stained and beveled and finished with a gloss that can be added to any wall in any space. Turn your workspace into a showroom, or your business into an award display. A plaque can be many things, but most importantly, it is a reminder that you have accomplished something to be proud of. It is a reminder of you or your company’s success. In the personal realm of your life, a plaque is a great decoration and a fine addition to any room. More accomplishments means more plaques and certificates, and you can create your own collection of plaques and wall displays, which we can also help create. In the professional realm, a plaque can help boost the morale of your employees. An Employee of the Month wall display is a great way to motivate your employees and reward them for their hard work. 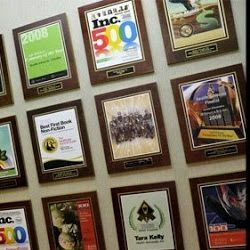 When plaques are displayed inside the establishment, it becomes a great marketing tool to show off the success of your business. With the website or the title of your article proudly displayed on the wall of your company, your customers and clients can do the research and can find your immortalized article, leading them to read all about your company’s success! With our many options, you are able to create your own plaque that fits your exact specifications. Your article will look professional and stylish on any wall or inside any establishment. Your words and accomplishments are yours to show off, and plaques are the perfect way to do so. In the end, it is not about the product, but what the Petrarchan product proudly displays: the Laura of your accomplishment.